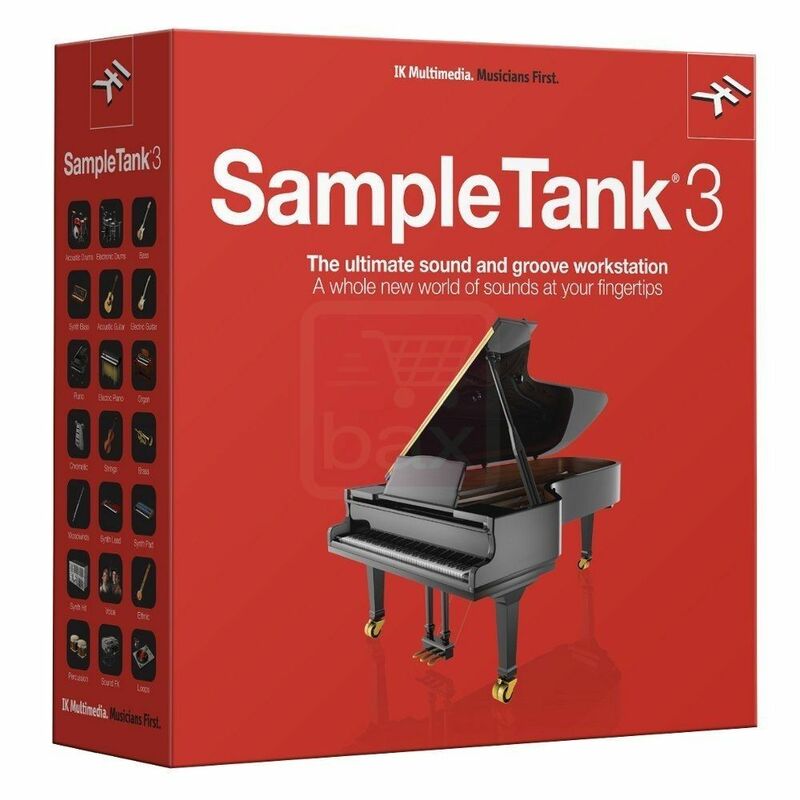 IK Multimedia's SampleTank 3 is a robust sample-based workstation that gives you over 33GB of samples, 4,000 ready-to-play instruments, 2,500 rhythm loops, and 2,000 MIDI files. Employing a completely retooled software engine, SampleTank 3 delivers ultra-realistic articulations, creative pitch-shift/time-stretching, and a sizable collection of filter effects - without taxing your CPU. SampleTank 3's redesigned interface makes editing child's play by putting all controls easily within your reach. Whether you're surgically retouching a single parameter or dramatically reprogramming an entire sound, SampleTank 3 makes it effortless.